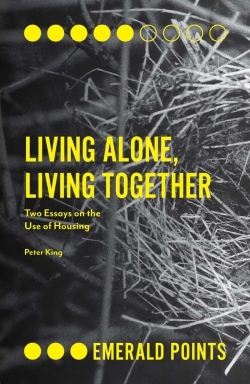 This book, from social theorist Peter King, considers how a dwelling can protect and promote both our anxieties and our relationships. Dwelling magnifies our anxieties and allows us to reject the world, yet it is also what we need to form long and lasting relationships. The first essay considers the one truly private space we have: inside our heads. This is the most intimate place we have, yet we are singularly unable to control it or even to know it. This leads to a discussion on anxiety and depression and how the solitude offered by private space – the head and the home – allows for anxiety to take over an individual. But it is also suggested that it is only through the privacy of a dwelling, and the intimacies that can develop here, that anxiety can be assuaged. The second essay is based on the premise that our relationships come out of our private dwelling. We need the protected intimacy, the inclusion and exclusion of private dwelling in order to flourish and to grow, and if we are to live together in a fully committed manner we depend on this enclosed and excluding space. Peter King builds up a new picture of dwelling from first principles. 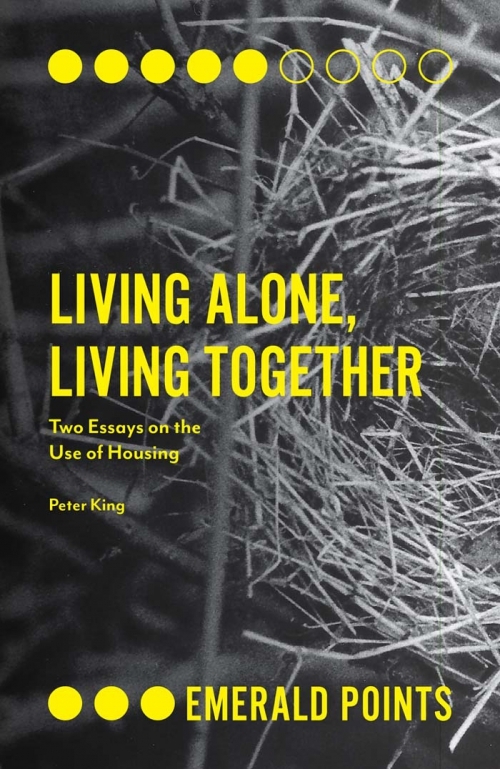 Both essays use a non-traditional literature to explore being alone and being with others, rather than relying on the social science literature, and offer a distinct and original contribution to the housing studies literature. Peter King is a writer and thinker on housing. He is currently Reader in Social Thought at De Montfort University. Peter King is Reader in Social Thought at De Montfort University. Peter has been at DMU since 1993 having previously worked for a housing association and in further education. He has written widely on housing issues, seeking to apply philosophical concepts to such notions as home, privacy and dwelling. His most recent book is The Principles of Housing (Routledge, 2016), which is an attempt to identify the underlying principles of housing.